Taken at the foot of the Southern Upland Way climbing out of Portpatrick Harbour, looking down on a passing jackdaw to rocks below. 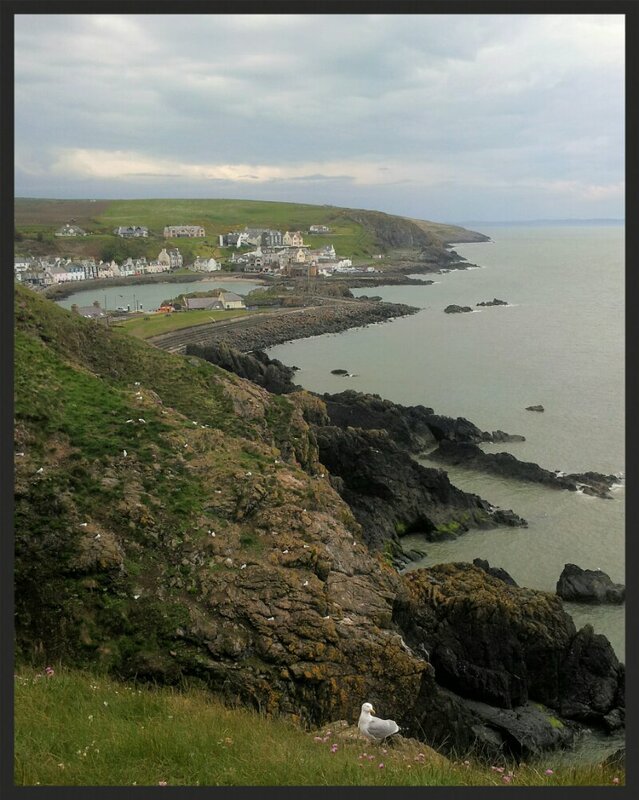 Just above Portpatrick, heading up the first few hundred yards of the Southern Upland Way looking back to the harbour. 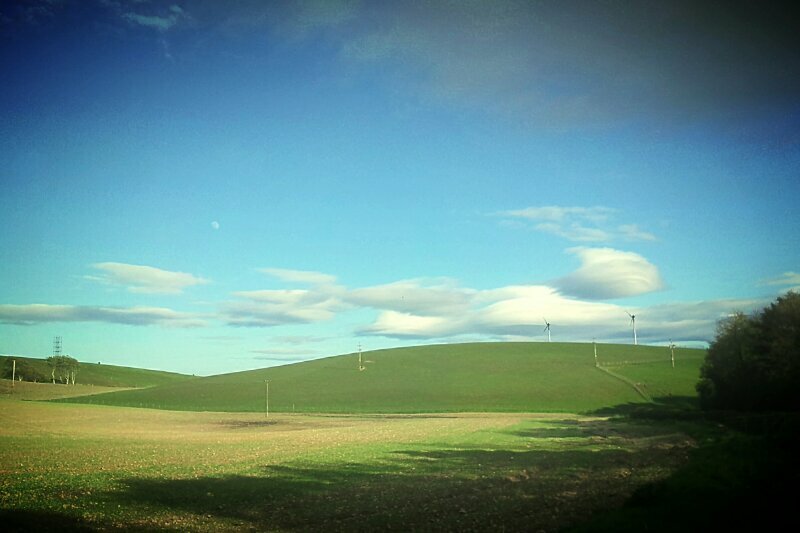 3-shot HDR using HDR Camera+ for Android, processed in Aviary. 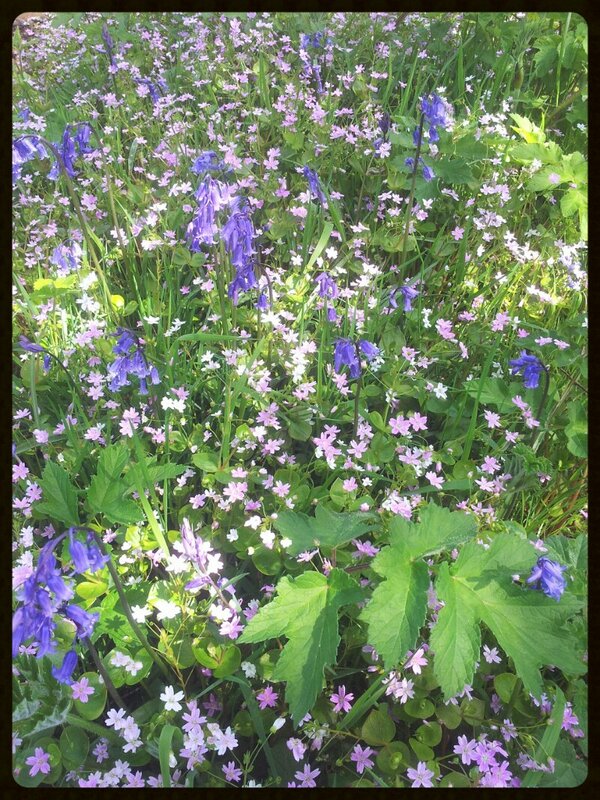 More dappled sunlight on a mixture of bluebells and pink geraniums. I just couldn’t resist these, a gorgeous shade of blue with dappled sunlight on them. I guess they’ll be coming to an end soon – but it’s been a good year for enjoying bluebells by the carpet-load in the local woods. Can’t beat a good bonfire. And another. Very gratifying. The first fruits, or rather vegetables, of our planting efforts – this diminutive garlic stem poked through today. Much rejoicing!